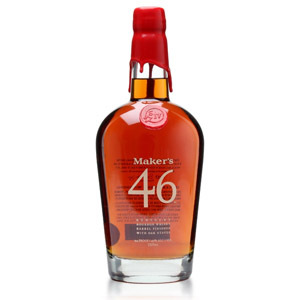 Maker’s 46, which was the company’s first addition to its regular lineup, is basically Maker’s Mark (wheated bourbon aged 6 to 6.5 years) with an additional 10 weeks of aging with 10 “seared” French Oak barrel staves inserted into the casks, and bottled at an extra 2% ABV (at 47%). The process is done during the winter in the coolest parts of the warehouse, to minimize the movement of whiskey through the wood. 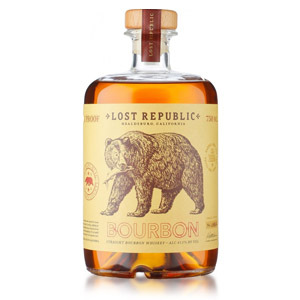 This treatment (the 46th attempt at creating a successful recipe, hence the name) is supposed to intensify the vanilla and caramel notes of the bourbon without adding additional bitterness from barrel tannin. 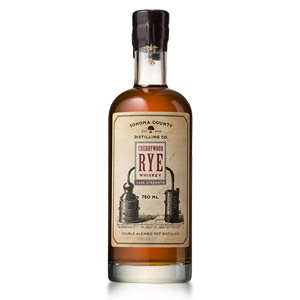 Maker’s 46 is bottled at 47% ABV (a missed marketing opportunity, that) and sold at a very reasonable $30 to $35 a bottle, a modest increase over the standard Maker’s Mark at $25 (or so). Nose: Strong corn character with aprioct, cherrywood smoke, vanilla, and marzipan. Very oaky. Palate: Thin body. Hot-ish. Maple extract, with a heavy wood (oak) flavor. Sweet almonds and burnt caramel, but very dry. Charcoal. Finish: Medium-long. Bitter barrel char. Dry and astringent. Some nice caramelized crème brûlée notes on the tail end, and while there is a sense of bitterness from oak tannin, it’s not overt. With Water: Water softens the palate, and adds some nice peach notes on the tongue. This plays well with a splash of water. Overall: It’s okay, I guess? A bit dry, but without much complexity to offset that leanness. A ton of oak, if you’re into that sort of thing. It actually reminds me of the effect that oak “sticks” had when left in the bottle for too long. Maker’s 46 isn’t going to replace anything in my liquor cabinet. Still, if you’re a Maker’s fan, it’s worth the extra 10 ducats to experience what an extra period of aging with French Oak staves does to the base bourbon. Acquired: 750ml bottle. K&L Wines, Redwood City, $30. After my bottle set a week, the rough and astringent character softened and rounded out with a full flavor profile. I cannot help but pick up a tremendous amount of dark natural cherry flavor along with vanilla and oak. 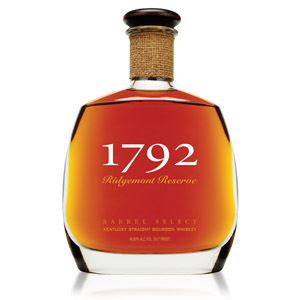 This has become one of my favorite bourbons as of late and I recently purchased a 2nd bottle. The nose is incredible, and I find myself partial to the palette (although I despise regular Maker’s), but the finish needs a little work. 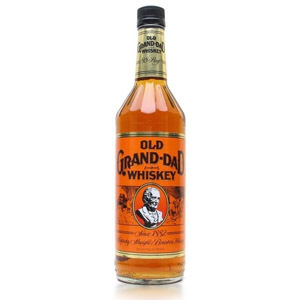 my bourbons I like strong and flavorful…why bother buying something “aged” expensive that it loses it’s character. it’s like johnnie walker, the more expensive, the “smoother” it is supposed to be, but lacking in character. it’s whiskey not iced tea, it is supposed to bite. makers 46 is fine by me…there are better but this is good enough.